Editor’s Note: Names and other characteristics that would otherwise identify current resident assistants have been withheld as to not jeopardize the employment of any RA. With a policy telling resident assistants to keep quiet, Texas State has reinforced its designation as one of the worst universities in the country for free speech. 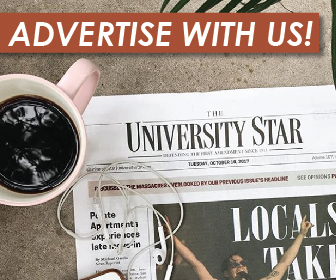 Following resident assistants’ hesitancies toward interviews, The University Star discovered a Department of Housing and Residential Life policy preventing RAs from speaking to media, including student journalists. Herbert Jones, associate director for DHRL, oversees Residential Life and Education and said unless approved by the director’s office, RAs are not allowed to speak to media. The policy comes from a concept called the “Five P’s,” which is communicated to RAs through a PowerPoint presentation slide shown during training. The presentation is considered a governing document for resident assistants. Covered in a single slide, the “Five P’s” state that anytime police, paramedics, press, parents or property damage are in a residence hall, RAs should immediately contact their supervisor. This slide is the only time the media is mentioned in the presentation, and it does not include corresponding punishments. Jones said the manual was the guiding document for training resident assistants but it currently is under review by the department. Now, the policies are taught via the PowerPoint presentation. Frank LoMonte is the director of the Brechner Center for Freedom of Information at the University of Florida and is a former executive director of the Student Press Law Center. “Stating your personal opinion about your working conditions is a classic example of constitutionally protected speech,” LoMonte said. “The most that a government employer can do is a narrow confidentiality policy that says, for example, you can’t share private medical information or private academic information that is shared with you in confidence in your RA role. That’s legally permissible. But what’s definitely not legally permissible is a blanket ‘no unapproved interviews’ policy. Attorney for Students Shannon Fitzgerald said because resident assistants are employees, the university likely has a greater authority to require approval for interviews. “An RA isn’t just a student, they’re an employee, and employees’ rights are more constricted because of their agreement as an employee to follow certain guidelines,” Fitzgerald said. According to LoMonte, students do not forfeit First Amendment rights when they agree to work for DHRL or any other department on campus. Adam Steinbaugh is the director of the Individual Rights Defense Program for the Foundation for Individual Rights in Education organization. Steinbaugh sided with LoMonte and agreed the only limitation is that RAs cannot represent the department without approval. Steinbaugh recommends the university clarify the policy to be more specific, as students have broad First Amendment protections and there can be a chilling effect from vague policies. The committee tasked with rewriting the policies has a tentative completion date of spring 2019. Jones said the changes will clarify the media policy and more. At this time, it’s unclear exactly what that clarification will look like, but Jones did not say the department will weaken the policy. LoMonte said despite employee signatures, the policy would still be unconstitutional. Jones feels DHRL’s media policy is in compliance with university code and deferred to Texas State’s general counsel on the issue of legality. The University Star created and distributed a survey to the 197 resident assistants listed on Texas State’s website. Questions included whether the RAs felt they would be reprimanded for giving a quote to the press and how they would rate their satisfaction as an employee. Eighty-three percent said they would be reprimanded for giving a quote to the press. Forty percent rated their satisfaction as a three out of five, with one as “I hate it” and five as “I love it.” Thirty-two percent rated it as a one or two out of five. In an additional comments portion, respondents gave criticisms of DHRL and the media policies. “For the quote, as long as we don’t say anything bad about DHRL I think it would be fine,” one respondent said. When this poll was issued, several Resident Directors, the immediate supervisor for RAs, told RAs they would need prior approval before completing the survey. Adam Steinbaugh said this was an inappropriate response to the survey. In February, FIRE ranked Texas State as one of the worst campuses for free speech. Steinbaugh said this policy does not help Texas State’s standings on that list. Jones said there is no blanket consequence for those who talk to the media and the consequences will vary on a case-by-case basis. Jones also said he hopes RAs communicate concerns to their supervisors. “I would want our student staff to feel empowered, so that if you’re one of our RAs and you’ve been approached by the media, and you feel very passionate about a particular topic based off of your experience, then for me that’s a conversation that they will then have with us,” Jones said. LoMonte recommends RAs seek legal counsel to challenge this policy. When I was a faculty member the individual who was Dean of Science told me that anything I did or said anywhere, any time, was “his business” and he was free to take any action he chose against me in response to it if he personally disapproved. So the policy described in this article is no surprise. It’s simply a continuation of that sort of freedom-stifling tradition.